It is worn underneath the dress to improve the individual feel and look better in what ever they are wearing. Founded in 2007 by Houshang Jalili, Instaslim is the top manufacturer and distributor of compression apparel and accessories. The business began its operations by selling high quality swimwear. Later on, the founder opted to enhance the male look by offering proven and top-quality compression products at affordable prices. 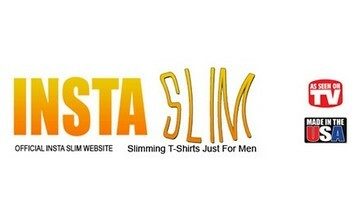 Get slim and smart with the wonderful selection of sliming compression products from Instaslim.com. By wearing the compression shirts from Insta Slim, you will enjoy the utmost comfort and smart look that you desire. The best thing about these shirts is that wearing one makes you slimmer by up to five inches. The product line of Instaslim.com tends to make customers more satisfied with their looks and help to improve their confidence at the same time. moreover, the shirts offered by Insta Slim will enhance your performance to a considerable level and are perfect for any occasion. Instaslim.com offers Insta Slim shirts, Crew neck shirts, Muscle tank shirts, V-neck shirts and more. On top of men’s collection, one can also find a broad array of compression dresses, compression bottoms, compression tops, slimming belts and other products that are specifically designed for women. Unlike their competitors, Insta Slim products look like regular compression apparel without any stretch panels - which makes the shirt unique so you can wear them both under and over your clothes for the perfect look. InstaSlim compression shirts are efficient in making your belly and lower chest look slimmer.